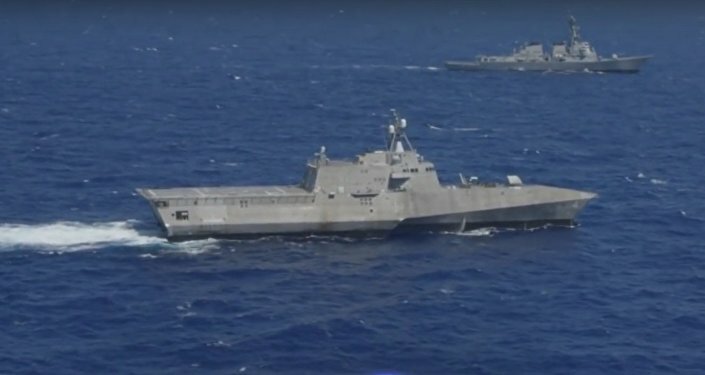 The US guided missile cruiser performed a defense training session with the Royal Moroccan Navy's (RMNS) patrol ship, the US Navy said in a press release on Tuesday. WASHINGTON (Sputnik) — The US guided missile cruiser Vella Gulf performed a maritime interdiction and small boat defense training session with the Royal Moroccan Navy's (RMNS) patrol ship Commandant El Harti, the US Navy said in a press release on Tuesday. "The Ticonderoga-class guided-missile cruiser USS Vella Gulf (CG 72) participated in a cooperation exercise with the Royal Moroccan Navy [on] May 5, 2017 while on deployment in the US 6th Fleet area of operations," the release stated. 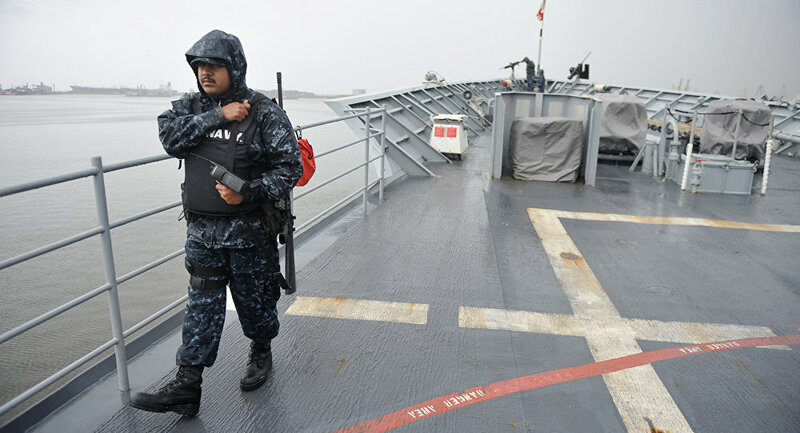 "Vella Gulf and the P306 RMNS Commandant El Harti conducted maritime interdiction operations (MIO) and small boat defense procedures during the exercise." The release explained that maritime interdiction operations are key to stopping piracy on the high seas and noted that small boat attacks on larger ships are increasing. "Vella Gulf is deployed as an independent unit in support of maritime security and ballistic missile defense operations in international waters across the globe," the release added. The US 6th Fleet is headquartered in Naples, Italy and its area of operations covers approximately half of the Atlantic Ocean from the North Pole to Antarctica as well as the Adriatic, Baltic, Barents, Black, Caspian, Mediterranean and North seas.